JB’s Auto Salvage specializes in locating late model, used auto parts. 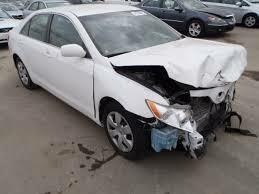 We also provide minor auto repairs, and we purchase late model wrecked or burned cars. We provide statewide service throughout Arkansas. The benefits of doing business with JB’s Auto Salvage are that we are readily able to locate auto parts nationwide, plus we offer delivery service on used auto parts. We also employ a highly trained staff of certified mechanics, so you can feel good knowing your auto repairs will be managed by skilled experts. Count on JB’s Auto Salvage to find you the right part at the right price. We can also fix your vehicle or buy your salvage vehicle. Call us today at 501-982-1151 or 800-325-4442, or contact us online to learn more about our services. Top price for crashed cars!